« Ideas for Kid-Friendly Summer Activities + Link Up Your Kid-Friendly Summer Activities! When I think of homeschooling, a lot of what the girls and I do relates to investigation. Every day there are many ways to learn through investigation. 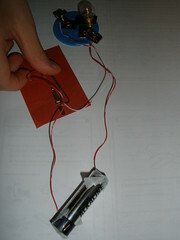 Below are some pictures of how the girls learn by investigating. Sophia and Olivia exploring the pond. 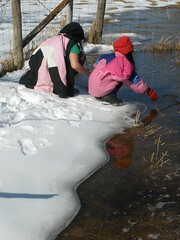 The girls ﻿enjoy exploring the pond, pastures, and nature trail on an almost daily basis. Seeing a variety of birds, toads, and frogs – sometimes ones we’ve never seen before – leads us to identification guides to help us figure out what we’ve seen. We use the Handbook of Nature Study (both the book as well as the blog that offers Outdoor Hour Challenges) which has been a highlight of learning about the environment. 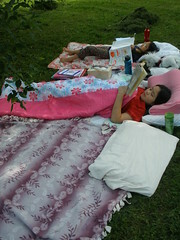 Reading outdoors in the early fall. A key part of homeschooling is reading, and the main curriculum that I use (Sonlight) offers a wealth of high quality, “living” books that cover history, geography, literature/reading, and science. We make at least one trip to the library per week, sometimes as often as two or three times, to check out new books as well as books on CD. Reading aloud, listening to audio books, and reading independently happens on a daily basis. (having more “scientific” equipment would be nice). Living in the country provides many opportunities to discover living wildlife – eagles, hawks, foxes, minks, deer, pheasants, and owls. By traveling to different parts of the state and country, we also have seen birds and wildlife that we normally would not see here which is exciting. We also have seen plenty of wildlife that no longer is living. Going on walks with the dogs has provided close-up views with some animals that walked too close to the road. Sometimes, after winter, an animal’s bones remain in the ditch. Although this is kind of gross, I have used plastic bags to pick up the bones and lots of bleach to clean them. In that way, the girls have been able to learn about the anatomy of different animals (like a coyote, for example) – something they would, at best, only be able to read about if they didn’t live where they do. A major part of homeschooling is learning about the world. We are wrapping up a multi-year ABC journey around the world where the girls learned about a different country for each letter of the alphabet (with the exception of “X” since there is no country that begins with that letter). Starting this fall, we will be starting with a multi-year study about each of the 50 states which we’re very excited to do! Traveling – within the state, throughout the country, and to foreign countries – plays an important part in homeschooling. Learning about different cultures and ways of life; different types of land; and food all help the girls appreciate the world they live in. 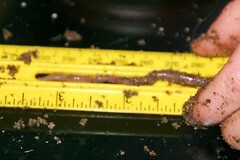 Sophia measuring the length of a worm. Learning math facts is one thing…but when the girls can apply math skills that they’ve learned to real life, the facts and skills make even more sense. 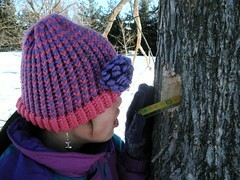 The girls enjoy measuring things – for example, how long something is (like the worm shown above), the distance between an animal’s tracks, or how deep a woodpecker’s hole in the tree is (see the photo below). and getting a lightbulb to work. Both the girls enjoy science and doing experiments. When I was in elementary school, I don’t remember doing many science experiments. In junior high, I recall dissection lessons (worm and frog) and using bunsen burners. In senior high, there were limited experiments as well. It’s too bad because the highlights for science for the girls (and me) have been the hands-on experiments we’ve done which have enhanced the lessons and reading materials. For topics that were a bit more challenging (e.g., electricity), doing the experiments made all the difference for the girls in terms of comprehension and retention. when studying about Egyptian history and culture. From the start of homeschooling the girls when they were Kindergarten, history has been a fascinating subject for them. A few years ago, we read the entire American Girl series and Little House series (both which focus on American History). When we began using the Sonlight curriculum, the girls were introduced to world history. Sophia has moved onto learning about American History at a much deeper and broader level than she did when she was younger. 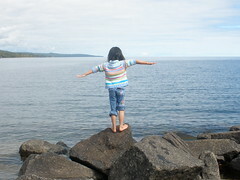 She will continue with American History next year before learning more about ancient cultures and world history. We covered some of the ancient cultures when the girls were much younger. 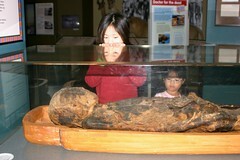 Learning about Egypt and the ancient Egyptians was very interesting for us all. at the Minnesota History Center. Music has played a central part of homeschooling. In the early years, music was focused on listening to CDs of various types of music by a variety of artists. 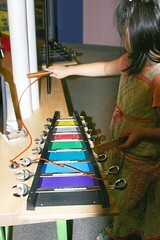 The girls also enjoyed playing child-size percussion instruments at home, and large-scale instruments or unique instruments (like the wrench xylophone pictured above) in public. Currently, the girls are both taking piano lessons, and Sophia is starting to learn to play the harp. Olivia wants to play the guitar or the piccolo (though she has to learn how to play the flute first). In addition to playing instruments, the girls also sing in a children’s choir and perform at least once a month during the school year. 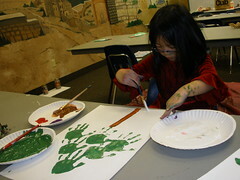 Creative expression is also done through painting, drawing, coloring, handiwork, pottery, ceramics, and sewing. Having ways to express oneself through the arts is as critical of a component to homeschooling for us, as is any core subject (e.g., math, reading, science). oh what photos – they definitely are investigating!! New to your blog – now following! I love all of the things your girls investigate! I can relate to the American Girl, Little House and Sonlight books for history — we did that exact same path. I'm following you now! 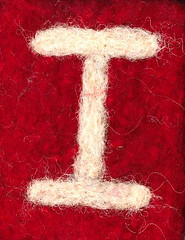 Visiting you from the ABCs of homeschooling — great post!! Investigation is a great word for the ABC's. That's definitely what kids should be doing and homeschooling gives them that opportunity more than anywhere else. Great post and nice pictures. Investigation is key in our homeschool, too! In fact, may people have asked us if we homeschool just based on their inquisitive nature.